SynGard™ Passenger Car Engine Oils are crafted from synthetic base stocks and state-of-the-art additive packages to meet the highest requirements from API and OEMs for engine protection and warranty coverage. SynGard Passenger Car Engine Oils are ideal for use in all passenger cars, light trucks, and SUVs sold in North America, municipal fleets where maximum mileage and minimum maintenance is desired, and performance engines including supercharged or turbocharged applications. 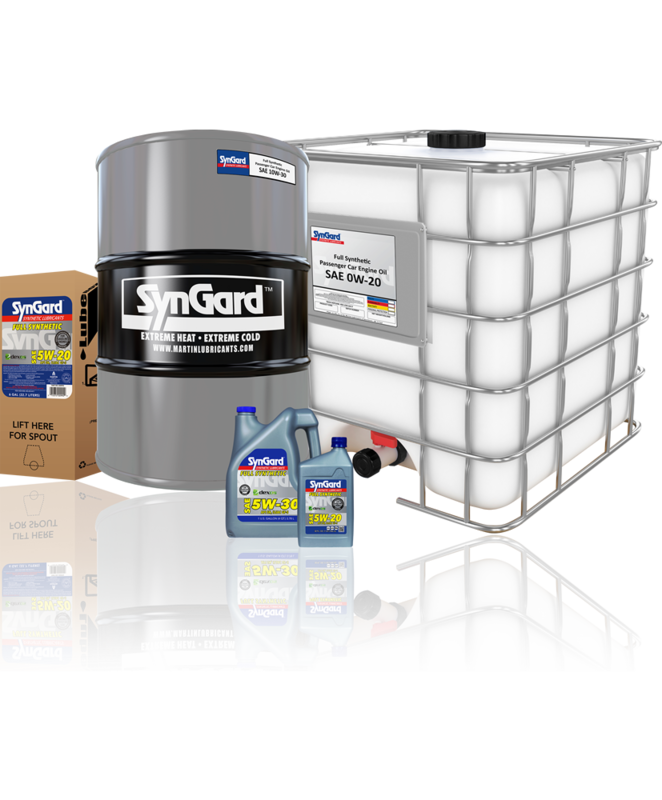 SynGard Passenger Car Engine Oils are available in the following viscosity: 0W-20, 0W-30, 0W-40, 0W-20 Dexos® 1 Gen 2SN, 5W-30 Dexos® 1 Gen 2 SN, 10W-30.